Riding the NYC subway system doesn’t have to be boring. 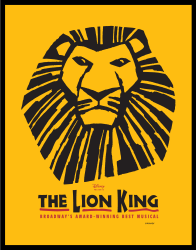 In this video from Broadwayworld.com shot June 28, 2014, some subway riders were treated to a rendition of the opening number from “The Lion King” by members of the cast. Looked like everyone on board was smiling. And being New Yorkers, took it all in stride as just another day of getting around underground.